As I am making my way through Sarah J. Maas’ Throne of Glass series I recently finished part 3. 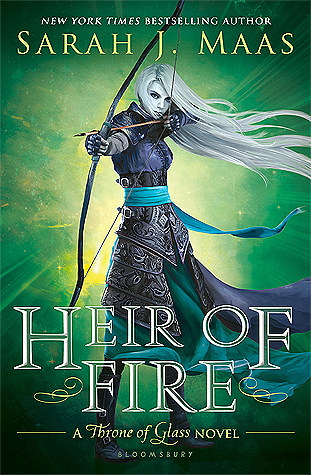 So let’s talk about the super thrilling novel Heir of Fire! I can’t even tell you how excited I am after finishing Heir of Fire. The story is picking up speed and a huge plot twist is dropped. Admitted, I had seen it coming and had hoped it would happen. Maybe not quite this way but I thoroughly enjoyed every bit of it. First of all, we get to explore a bit of Wendlyn and Doranelle. Magic is still free in the east so you can prepare yourself for some cool stuff. However, not only new places but also new characters are introduced. If Prince Rowan and Celaena don’t end up together, I will be so mad. I’m already shipping them so hard. Another day, another Sarah J. Maas novel to review. 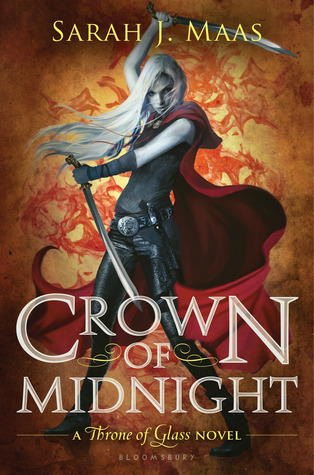 As I am making my way through the Throne of Glass series, I just finished the second installment, Crown of Midnight. So let’s get down to it! Celaena did it. She defeated all the others and became the King’s Champion. Now only a few years in his service remain between her and freedom. But is Celaena ready to do the bidding of the very man who destroyed her home ten years ago? And what is lurking beneath the castle? Plot twist, plot twists everywhere I look. 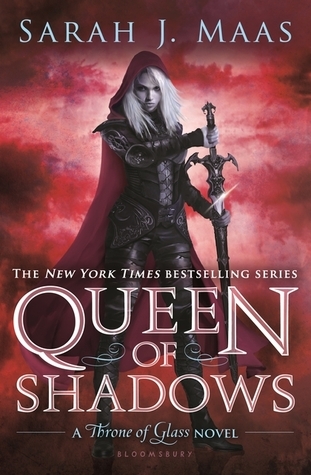 If I hadn’t been intrigued by the Throne of Glass series before, I’d certainly be now. We only began exploring the huge world SJM created and dive deeper into our favorite characters’ pasts – and futures! The character development game is going strong and once more I have to applaud Sarah J. Maas. She creates characters like no one else. Compared with Throne of Glass, she even took it up a notch for this novel. I’m itching to find out more about those mysteries and dark powers lurking in every shadow. Although I’m not sure I can’t take many more of those chapters as they always make me hold my breath!